As an island nation, the UK's coast and rivers have played an important role in trade and transport throughout our history. But, with concerns about the limited lifetime of fossil fuels, can these watery surroundings play a future role producing tidal energy? Planet Earth podcast presenter Richard Hollingham met Judith Wolf and Nick Yates, from the National Oceanography Centre in Liverpool, on a foggy day by Liverpool's Albert Dock. Judith began by outlining the potential energy contained by the River Mersey. 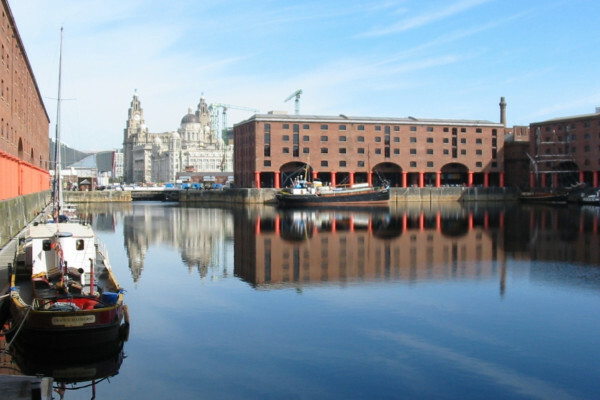 Judith Wolf: If we consider Liverpool itself we have a ten metre tidal range at spring. That is one of the highest in the UK, almost the highest in the world. That energy can be captured in various ways by running a barrage with turbines. The other kind of energy is the kinetic energy of the flow of the tide and in straights and estuary mouths like here we can get really large flows which could be several knots of water speed and that energy can also be harnessed. Judith Wolf: That's between low tide and high tide, yes, on the maximum spring tidal range. Richard Hollingham: So, potentially, a phenomenal amount of energy there? Judith Wolf: That's right, yes. The amount of energy you can get from a tide in an estuary is related to the area that's behind the mouth of the estuary, the area inside the estuary and the tide range at the mouth. Richard Hollingham: Now, Nick, you were an engineer, you've been studying the potential of tides around the UK. What did you actually do? Nick Yates: The study in question was a computer simulation that took a computer model and into that model we can see the tidal wave coming in and then into the model we're able to simulate barrages, in particular, across estuaries because as Judith said the energy you get is proportional to the area and also the tidal range, and so the ideal place for a barrage to exploit tidal range, which is a physical structure which allows you to delay tidal motions and get a water level difference like conventional hydro power, and actually behind you - you can't see the other side - but the Mersey you've got geography helping you, it's only a kilometre across. So for a relatively short physical structure you can then place turbines in that and get relatively a large amount of energy. So, just to give you an example for the Mersey, that would be something like a terawatt hour, which is a difficult number to get your head around, but you're probably talking somewhere between half a million and a million houses electricity from that one structure. Richard Hollingham: So how much energy could you generate in the UK from the tide? Nick Yates: We think it's going to be at least 20% and 15% from tidal range with barrages over the major estuaries plus 5% from tidal stream which is from the fast motion of currents. Richard Hollingham: And what sort of structures? Like a conventional hydro-electric plant with turbines? We see these wave generators with almost like bobbing buoys going up and down. Nick Yates: Yeah, the structure for tidal range - if you like it's like a harbour actually, it's very similar technology. So you would have rock and then you would have probably concrete caissons where you have got turbines and sluice gates. Richard Hollingham: And what about the environmental consequences of putting sometime like that on an estuary like this one here? Judith Wolf: Well some of the environmental concerns are very much about inter-tidal habitats in estuaries. Estuaries are very productive areas and are very important for migratory birds and fish, particularly some of the mud waders and feeding birds on the estuary. Many people are concerned that the habitats that they exploit will disappear. One of the things we did in an earlier study was actually to estimate how we could best minimise that impact. If you run the barrage on ebb and flood generation you can actually modify the amount of habitat that is lost and minimise the amount that is lost. Richard Hollingham: Now you looked at this across the UK, so different sites. Presumably some are more suitable than others? Judith Wolf: Yes that is true. I mean for a tidal barrage we're looking for the maximum tidal range and the Mersey is particularly nice because it has a very narrow mouth and therefore you would build the minimum length of dam across it in order to capture a moderately large amount of energy, so the energy would be relatively cheap here. Richard Hollingham: And so the dam wouldn't have to go right away across the mouth, it would just go across a small amount. Judith Wolf: It would have to close off the estuary completely but the tide would still flow through the dam, through the sluices and turbines. Richard Hollingham: And how does this compare say, Nick, with wind power and other forms of alternative energy generation? Nick Yates: Well, the key thing with tidal is the renewable energy you can set your watch by, and so that predictability in particular is extremely important. It's funny I was just reading recently from Ofgem some figures about the variability of wind which went from nine megawatts to three gigawatts within the space of three days, but that's not to say that it's an either or. I actually think we're going to need all of them particularly to replace what we get from fossil fuels but also if we move to electric vehicles demand is going to go up.